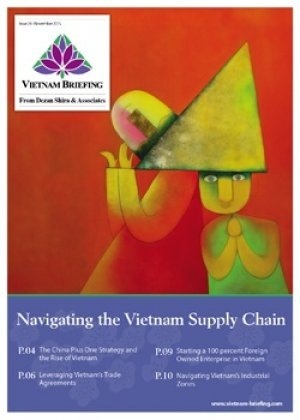 As more businesses begin to take off in Vietnam, job security has steadily begun to increase. With this rise in employment comes a lot of expectations from both employees and employers. As a result, operations can at times become exposed to strikes stemming from low wages, poor communication, disparity in internal promotion, and expectations failing to get fulfilled. If not managed properly, the occurrence of strikes risks adversely impacting the future of a company. In recent years, Vietnam has experienced its fair share of strikes, with about 762 strikes during the global financial crisis of 2008 due to high inflation in the low-wage economy. This article seeks to explain how to detect when a strike will happen and the methods to combat it. If a strike does occur, those with an up to date understanding of the country’s policies and laws will be in an optimal position to protect their operations, both through assessing the legality of strikes and knowledge of the compensations expected. 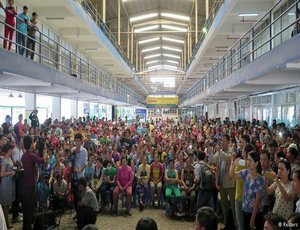 According to Vietnamese law, strikes are a temporary, voluntary, and organized stoppage of work by the worker’s collective in order to achieve set demands in the process of labor dispute resolution. Strikes can be organized in unionized and upper-level trade unions. In unionized undertakings, strikes must be organized and led by the relevant committee of the grassroots level trade union. If a grassroots level union has not been created, the strikes can be organized and led by upper-level trade unions by request of employees. If employees do decide to go on strike there are two important steps employees must do before they can officially go on strike. During these two steps of a strike, if the employer wants to try and stop the strike, they can do so through negotiation and mediation. In a unionized worker’s collective, opinions of the members of the Executive Committee of the grassroots level trade union and the heads of production units must be solicited. While in non-grassroots level trade unions, only the head of the production units or employees can be solicited. The decision to go forward with a strike can be made by ballot or signature (50 percent is needed for the strike to proceed). The time and method for going on strike shall be determined by the Executive Committee of the trade union, which should be notified to the employer at least one day in advance. Full name and address of the representative of the Executive Committee of the trade union. If the employer does not accept the demands of the worker’s collective, the Executive committee of the trade union can organize and lead the strike. Prior to strikes, employers should be aware of their rights as well as the rights of the Executive Committee in order to make decisions in a manner to maximize risk mitigation. Withdraw the decision to go on strike if the strike has not taken place or to end the strike if it is taking place. Request the Court to declare the strike as lawful. Accept all or part of the demands, and inform in writing to the Executive Committee of the grassroots-level trade union that organizes and leads the strike. Temporarily close the workplace during the strike due to the lack of necessary conditions to maintain the normal operations and to protect the employer’s assets. Request to the court to declare the strike as illegal. The strike does not arise from an interest-based collective labor dispute. The strike is organized for employees who are not working for the same employer. The strike occurs whilst the collective labor dispute is being resolved or has not been resolved by the competent agencies, organizations, or individuals in accordance with the labor code. The strike occurs in an enterprise in the list of enterprises provided by the Government in which strike is prohibited. The strike occurs when the decision to postpone or cancel the strike has been issued. If the trade union organizing the strike does not agree with at least one of the contents specified in the compensation, within 5 working days from the date on which the claim is received, the trade union shall send the employer a request for negotiation. Within three business days from the date on which the request for negotiation is received, the employer shall agree with the trade union about time, location, and participants of the meeting for negotiation on compensation for damage. The meeting for the negotiation must be recorded in meeting minutes with signatures of both parties, and the person recording the minutes should include all consensus issues (if any) and other opinions. The minutes shall be the legal basis to determine the rights and obligations of parties in terms of liability for compensation. Following the conclusion of successful negotiations, both parties must abide by the terms of the agreement. Again, as businesses begin to get established in Vietnam by both natives and foreigners alike, it is expected that more employees will begin to assert their rights if they feel there is mistreatment in the workplace. It is imperative that investors understand both their rights and the rights of their employees if they do decide to go on strike, and ensure the strike is legal.